My lanyards come out perfect. Thanks for helping me place my order and finding me the product I was looking for. I loved the quality and Custom Earth Promos has a super helpful team that guided me to find the perfect design. The pattern of the lanyard is so unique. So happy with my order! The team at CEP really helped to make sure I'd be 100% satisfied with my lanyards! Really appreciate the over the top assistance from this company! Will definitely be ordering more asap! Thanks again CEP! I love the material of the Eco-friendly lanyards. Organic cotton has a great feel. We have ordered the 1" organic several times and are never disappointed. If your operating on a budget but need a marketing plan, these organic lanyards are the route to go. Options are a plus here, these are such a great idea! Great color options when designing these lanyards. When Custom Earth Promos says they won't be beat on pricing, they are 100% right. I love the organic cotton lanyards. I can customize them to any of my specifications. Great idea for advertising your company. The 1" lanyard width allowed me to have a more eye catching design. Custom Earth Promos’ certified 100% Organic Cotton Lanyards are 1" wide and fully customizable to guarantee a final product that fully captures the look and feel of your brand. Build your order of organic cotton lanyards to mirror your current campaign with custom length, in any color you desire, with your brand logo boldly showcased in exquisite quality. 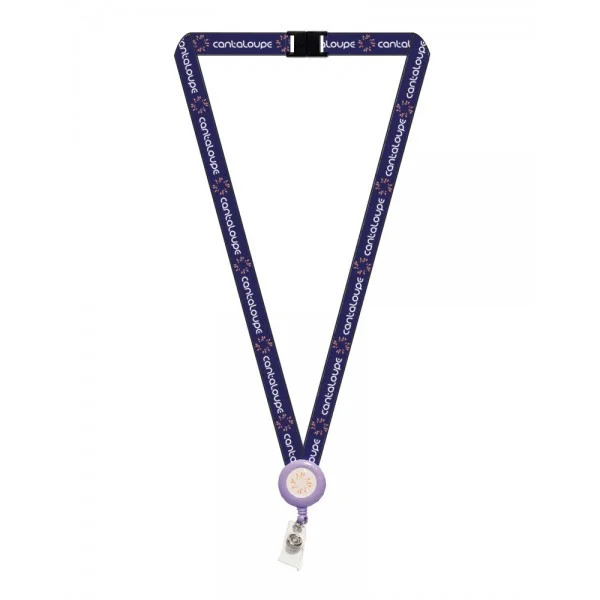 As a guide, lanyards are typically 24" for children and 36" for adults. 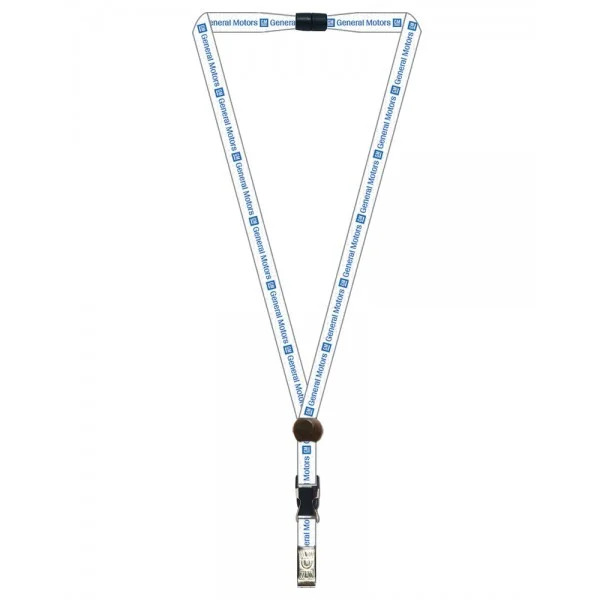 However, we will produce your custom 1" lanyard order in any length you desire. Orders include a custom 1-color imprint and standard hook or bulldog clip. Safety breakaways at the neck are available upon request. Our lanyards are also competitively priced. 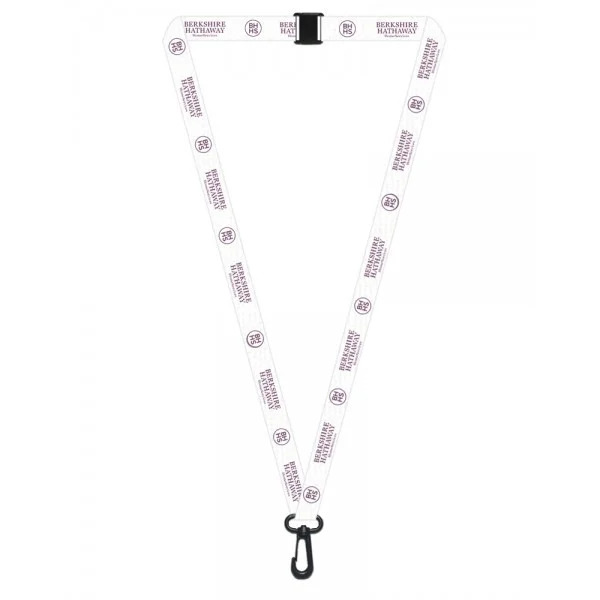 The best part is you can easily and inexpensively add on extras like a 2nd or 3rd print colors, or enhancements such as full-color product hangtags, antimicrobial coatings, or whistles, key rings, badge holders, you name it, to create a truly unique and quality eco-friendly lanyard. Act now by requesting a free sample. Customers are demanding acts of eco-investment, production methods and products that demonstrate a positive social and environmental impact from the brands in competition for their business. Full range customizations, superior product construction and eco-friendly composition make our 1” Organic Cotton Lanyards the perfect branding tool for businesses serving any industry. Eco-friendly lanyards that are manufactured entirely from sustainable materials are proven to benefit your brand image and increase your “green” presence. Adding to these benefits, thanks to our hands-on manufacturing, we are able to pass on production savings directly to our customers. Our competitively priced, custom products are guaranteed to benefit your business with increased exposure, loyalty, “green” presence, long-term profitability and market share value. All natural, 100% Organic Cotton Lanyards create no harmful impact on the environment and guarantee safety for your customers and audience with the absence of any potentially dangerous chemicals or pesticides. Reserve promotional products for your next event, trade show or networking opportunity that guarantee zero harm is done to our ecosystem and ensures the safety of your customers. This act of social and eco-responsibility will secure customer loyalty, increase word-of-mouth advertising and better position your brand as a “green” industry leader. By choosing organic cotton lanyard that eliminates the use of toxic chemicals, you are protecting yourself, your customers and the planet. This eco-ethical purchase will promote the invaluable positive social and environmental impact of your brand. The accommodating 1" width size allows for elaborate imprint designs to boldly display your logo in a myriad of eye-catching aesthetics. For example, consider adding sponsorship logos, the recycle Mobius symbol, your website, phone number, or more. Work directly with a Custom Earth Promos in-house design expert to build your custom order of earth-friendly 1" Organic Cotton Lanyards from scratch. 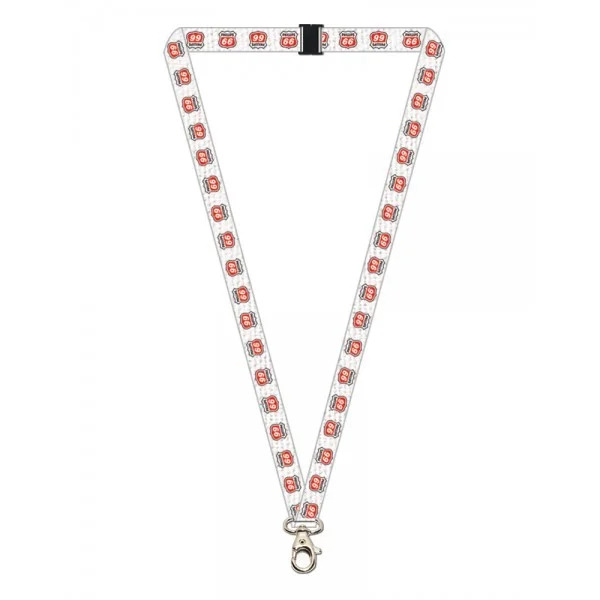 You’ll know that your customers will receive lanyards that are skin-friendly, soft to the touch and guaranteed free of any potentially dangerous chemicals. We proudly use only all-natural organic cotton fabric for our lanyards and organic logo imprinting techniques to produce our custom organic cotton lanyards. We recommend including 2 safety features - a neck safety release and buckle - so they can come apart when snagged. Optional attachments include swivel j-hooks, key chains, clips, whistles, buckles and more. Effectively establish your brand devotion to planetary preservation with custom designed organic cotton lanyards proudly bearing your brand logo. Lanyards can naturally-colored cotton, or dyed with our low environmental impact dyes. 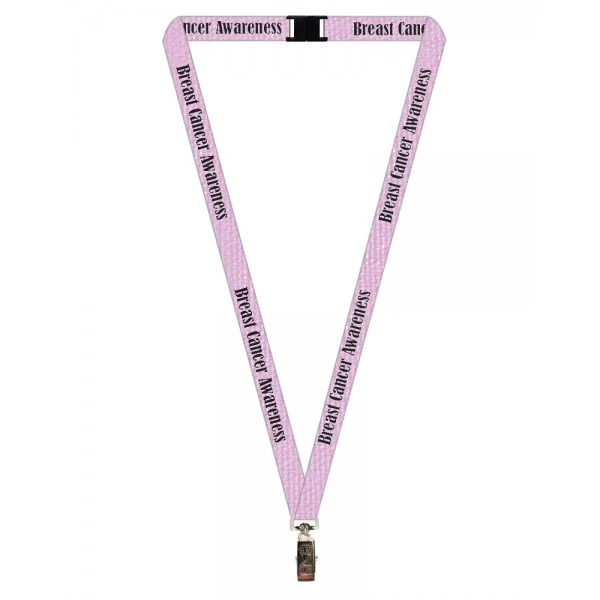 We can match your lanyards to any PMS Pantone color and will completely customize your custom graphic imprint to ensure your logo receives optimal exposure. To see and feel our high-quality lanyards for yourself before placing an order, we’ll be more than happy to send you free lanyard samples!